Six states. One car. If you’re looking to road trip New England, you’re in luck. One of the most tightly packed regions in the continental United States, New England covers roughly 71,000 square miles (most of which is Northern Maine). You could quickly take a drive passing briefly through every state, and it would take you less than a day to hit all of them. But anyone planning a trip to New England will want to make the most of their visit to this beautiful region, and ideally, take their time to see as much as possible. That’s why we’ve created this: the ultimate and essential New England road trip itinerary, to help you find the best spots in all six states. 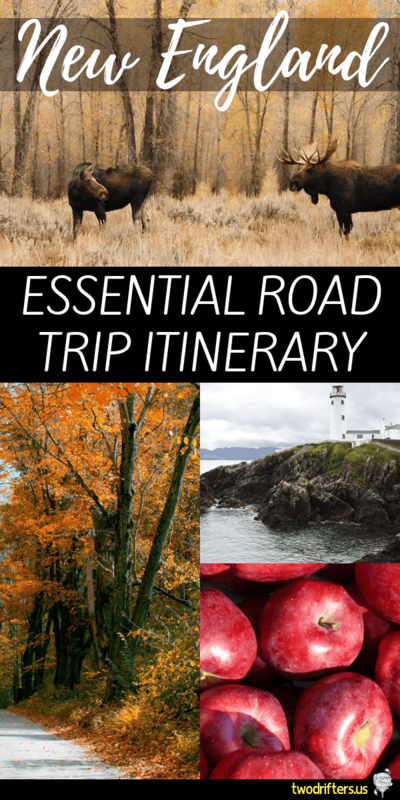 Below, you’ll find a massive road trip that encompasses every New England state, as well as some ideas for separately road tripping Southern New England or Northern New England. We’ve created these New England road trip itineraries based on what we think are the highlights and must-see cities/towns in each state. Obviously, each state has SO MUCH to see and do—it would be impossible to include everything here. The maps we’ve included showcase the major stops on each itinerary, but we’ll be sharing worthwhile stops between these as well as possible deviations from the itinerary. Ultimately, the journey is yours and up to you; use our itineraries as a template and create an amazing trip. However you do it, road trips are awesome. Our massive New England road trip map below is also quite ambitious! We have not set a specific timeline for this itinerary so that you are able to go at the pace you prefer, and travel for as much time as you have available. We’ve also not suggested particular time frames for staying in each destination. Where possible, we’ve linked to more information on each town/city so you can delve a bit deeper and decide where to spend more of your time during your road trip through New England. When’s the best time of year to visit New England? New England is gorgeous in all seasons, but for the easiest driving (and best New England road trips), summer and fall are ideal. If you want the fall foliage experience, late September and early October are the key weeks to plan for. Of course, these times of years are also peak tourist season, so expect more traffic and higher accommodation prices. One of our favorite times of year in New England is mid to late May: beautiful weather and generally less busy. The budding greenery is especially gorgeous and fresh, too. Early September can also be lovely, just after kids have returned to school and summer has ended. Expect crisp temps and leaves just beginning to turn. Where should I start my road trip through New England? We’ve started each of these itineraries in Boston, as it’s the biggest city in New England and home to a major airport. It’s an easy airport to fly into and rent a vehicle. You could also begin in Burlington, Hartford, Portland, or Providence, just to name a few. Choose the starting point that makes sense for your journey! You’ll start your New England road trip from Boston, Massachusetts, a fantastic city. Boston is a well-known city that’s filled to the brim with history. From famous historical events like the Boston Tea Party to its reputation as a modern-day sports town, you’ll never be bored here. Highlights include the North End (home to incredible Italian food), quaint Beacon Hill, shopping on Newbury Street, and visiting the museums. Check out our post on Romantic Things to Do in Boston for more suggestions, and to create your own Boston road trip itinerary. The article has ideas for all types of travelers and not just couples! We’ve also got some recommendations on where to grab coffee in the city. Ah, the Cape. Well known as a summer resort destination, Cape Cod is a must visit when road tripping around New England. Outdoor activities are abundant in this coastal spot, and you’ll spot lots of lighthouses and charming main streets as you explore. The Cape is fairly large, so if you’re wondering where to stay in Cape Cod, this guide can help you sort out the various towns. Don’t forget to enjoy some terrific seafood during your trip. Glitz and glamour: that’s what you’ll find in Newport, Rhode Island. This town is perhaps best known for its iconic mansions. These opulent buildings were once the summer cottages of America’s rich and famous families. Today, many of them have been converted into museums that you can wander through and admire. Check out this nice Gilded Age Mansions Tour which takes you around via trolley. Click here to research more about the top things to do in Newport. Providence is Rhode Island’s capital city, and it’s definitely worth a visit. Save your relaxation for other stops on your New England states road trip because Providence has a lot going on! This is a big city in a small package, but there’s plenty to keep you busy and entertained, like museums, art galleries, delicious restaurants, and even a zoo. Mystic, Connecticut is a wonderful little seaside town that feels like a must-do in New England. We’ve only visited briefly, but we had a great time exploring the Mystic Seaport, which can keep you busy for hours. And like pretty much every other New England town, there’s a cute little downtown area with great shopping, dining, and activities. Spend a day or so in Old Saybrook, soaking up the coastal New England charm. This quaint seaside town has a cute downtown and enough shops, good restaurants, and a solid brewery to keep you entertained. While not a thriving metropolis, this is an ideal spot to catch the sea breeze and some sweet relaxation. Your next destination is the enchanting Litchfield Hills. To us, this area in the northwest corner of the state seems like a hidden gem. Here you’ll find all the classic New England pastimes you know and love. In particular, there is an abundance of outdoor activities (hiking, paddling, fishing) as well as exceptional Antique shops. The Litchfield Hills make up a fair portion of the region, and include towns such as Torrington, Woodbury, Kent, Cornwall, and Washington (very English sounding names, aren’t they?). If you’re looking for a lovely place to stay, consider The Mayflower Inn & Spa in Washington. Not only is this a perfectly classic New England hotel, legend has it it was also the inspiration for Lorelei Gilmore’s inn The Dragonfly in the popular tv show Gilmore Girls. Check out rates and availability for the Mayflower here. Continue on your New England road trip into The Berkshires of Massachusetts. Here is art, nature, and culture combined. This region has been very popular among vacationers for many years. If you go in the summertime, be sure to stop by the famous Tanglewood, where you can enjoy concerts from leading symphonies and folk artists like James Taylor. Theatre lovers will adore performances at Shakespeare & Company. They do excellent shows; I’ve been twice! There is a great deal of beautiful architecture in the region, too. In Lenox, visit the Ventfort Hall Mansion and Gilded Age Museum, a 1890s home that’s open for tours. If you have literary interest, you may also wish to stop by The Mount, Edith Wharton’s turn-of-the-century estate. Finally, you’ve made it into Vermont (our personal favorite, if you couldn’t tell). It’s a fairly easy drive from the Berkshires up to Manchester in the southwestern corner of Vermont. We have an entire post dedicated to things to do in Manchester, Vermont, but a few standout ideas include hiking or driving to the top of Mt. Equinox, plus dinner at Ye Olde Tavern. Manchester is also well-known for its luxury outlet stores, so bring some extra cash if you wanna splurge. If you’re very interested in exploring Vermont, a trip through Manchester, Burlington, and Stowe make the ideal Vermont road trip itinerary. Just around 2 hours north of Manchester (taking the quite scenic Route 7) you’ll find yourself in Burlington, Vermont’s biggest city. It’s also often mislabeled as Vermont’s capital, but that honor goes to Montpelier. Still, you’re likely to run into Bernie Sanders in either town. Burlington is where we currently live at the time of this writing. It’s a fantastic town that is hip, artsy, and full of good, local food. Seriously, in Vermont, you need to eat. There’s so much delicious cheese, coffee, beer, maple syrup, and much, much more. To get you started on your culinary adventures, check out this post on our favorite Burlington breweries and bars, and this one on our beloved coffee shops. Chances are pretty good you’ll run into us at one of these places! Oh, and don’t forget to enjoy brunch in BTV. We do breakfast here right. The gem of Burlington is Lake Champlain, the sprawling, sparkling lake that the city overlooks. Here is the chance to go sailing, stand-up paddleboarding, or take a gentle ferry across to New York state. If you’d prefer to stay on dry land, the Burlington Bike Path stretches for miles, hugging the lake’s edge. This is ideal for running or cycling. You can even rent bikes right on the bike path. Head south on I89 to Exit 10. From there, you’ll take the scenic Route 100 out to Stowe. When people think of Vermont, they’re likely thinking of Stowe. It’s absolutely gorgeous; a charming town surrounded by mountains. The short Main Street and its side streets boast a white steepled church, an old-timey general store, and a 50’s style diner. Simply put, Stowe is adorable. We have an entire post dedicated to Things to Do in Stowe, Vermont. 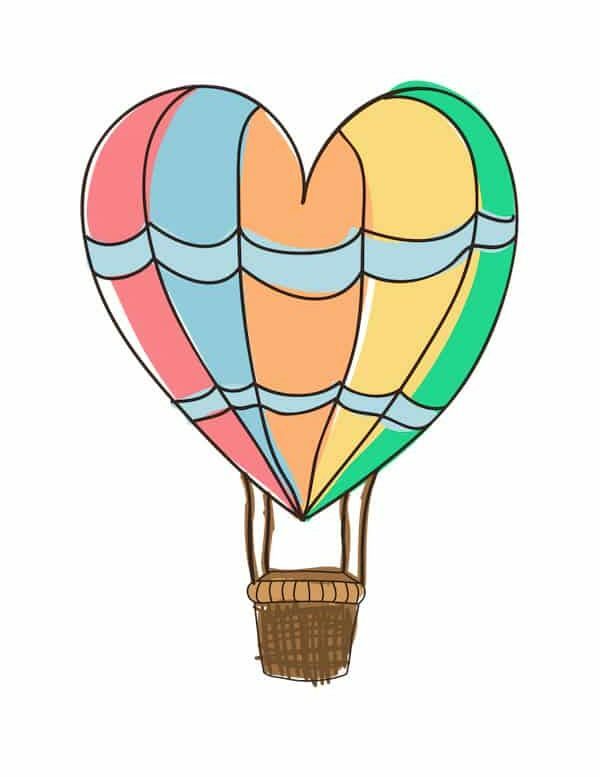 While it’s geared towards a romantic getaway, the activities included are great for travelers of all types. We even offer suggestions on where to stay in Stowe. No adventure in New England could be complete without some mountain time. 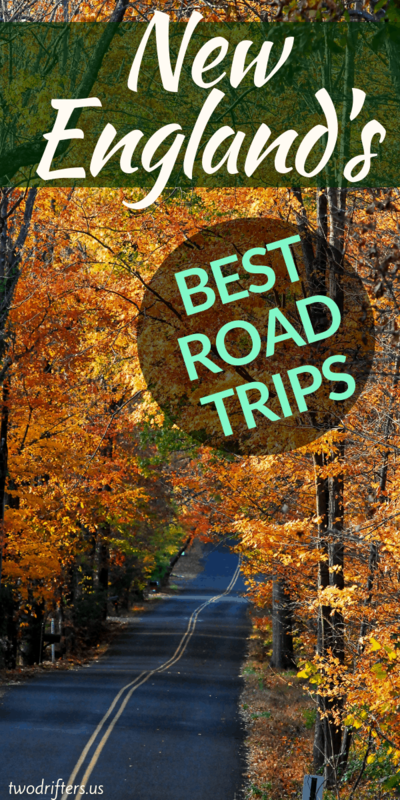 And this is especially true if you’re planning a New England fall road trip. New Hampshire’s White Mountains are impressive and exciting. They’re the tallest in New England (with Mt. Washington tallest of all) and offer spectacular hiking and more. Though Lincoln can be a crowded and busy area in summer and fall, it’s for a good reason. This is a perfect gateway to the attractions of the White Mountain National Forest. In this area you’ll find some of the coolest natural wonders of the White Mountains. In Franconia Notch State Park, you’ll find the Basin, a granite “pothole” that is found at the base of a waterfall. Nearby, don’t miss Flume Gorge. This is a natural ravine that formed over many years and now a hiking trail with a boardwalk passes through it. This is a wonderful hike with some amazing scenery. Lincoln itself offers some attractions in-town as well, including Clark’s Trading Post, an Americana museum and a steam railroad. One of the best parts of this New England vacation itinerary is coming up: The Kancamangus Highway. This stretch of road runs 34 miles between Lincon and Conway and is extremely scenic. But remember, while fall is gorgeous here, it’s also a busy time. You can expect relatively slow traffic on the Kancamangus in the high season. Conway is a terrific NH Mountain Town. I’ve spent some time here and it’s a great mix of shopping, restaurants, and outdoor activities. The Saco River runs nearby, so Conway is a good jumping off point for tubing or paddling in the river. On a recent bachelorette party trip of my friend’s, we used Saco River Tubing and had an absolute blast! Pop up to the towns of Bartlett and Jackson if you want to head even more into the mountains. Both are very nice areas with lots to do and see. Near Bartlett you can stop by Diana’s Baths, a beautiful area of cascading waterfalls and gentle pools. On a hot summer’s day, it’s the perfect place to cool off. You can’t pass through New Hampshire without stopping in the Lakes Region. In particular, it’s one of the best places to visit in New England in summer. On your way to Maine, you’ll be taking a brief Southern detour to Lake Winnipesaukee. While this Lake is the biggest and most well known in the region, don’t be afraid to branch out and explore the other lakes too, like Winnisquam, Newfound, and Squam Lake. In this area, we recommend spending a lot of time on the water and in the water. There are endless opportunities for swimming, boating, and other water sports, and if you can rent a lakeside house or cabin, that’s the best option of all. Maine is massive so there’s no way to do the state justice in this itinerary. We’re essentially covering a few of the must-see areas. You could spend weeks on a road trip of Maine alone. If you’re going to be taking your time in Maine, check out this terrific list by our friend Naomi: 101 Unforgettable Things to Do in Maine. Stop for a bit in Portland, a modern portside town that may surprise you. There’s a hip city right on the water in Portland, Maine, and this is a hot spot for restaurants, coffee shops, breweries, and entertainment. Did we mention breweries? Beer lovers will be happy to know that Portland has 18 breweries all its own. In fact, we’ve got an entire post that’s a brewery-based road trip of New England. Beer lovers will want to check that out, too. Now we travel north to Bar Harbor. Admittedly, it looks like a far drive on the map. In reality, from Portland to Bar Harbor is just over a 3-hour drive. And trust us, visiting Mt. Desert Island is SO worth it. Bar Harbor is the seaside town that will be your base for exploring Acadia National Park. You will be in awe over this beautiful part of Maine. Here is where rocky cliffs tumble into the sea, with iconic lighthouses at the top. There’s abundany wildlife on land and in the sea, and countless opportunities for terrific hiking. But the region is not just about the outdoors. Bar Harbor has lovely shops, restaurants, and extremely cozy inns. Truly, the region is ideal for travelers of all kinds. Our top recommendations in Acadia are the Beehive Hike (exhilarating!) and eating popovers at the Jordan Pond House (delicious!). Check out our detailed post on Bar Harbor and Acadia for more. Got more time in Maine? Possible side trips in Maine we recommend include checking out Kennebunkport, York, and other spots on the Southern Maine coast, complete with a stay at the York Harbor Inn. Also consider a Schooner Cruise on the J&E Riggin. This windjammer experience is fabulous, and cruises depart from Rockland, ME. Our New England driving tour itinerary is nearing its end, but we’ve got a few more stops to make—-stops you won’t want to miss. Portsmouth is first. We’re back in New Hampshire! Between Maine and Massachusetts, NH owns a very small strip of coastline. The hub of the Seacoast is Portsmouth, a small yet lively city with a great deal of history. Visitors will want to stop at the Strawbery Banke Museum an outdoor living history museum. Simply strolling around the historic downtown is also suggested. This is one of those towns with many cute corners and alleys worth exploring. 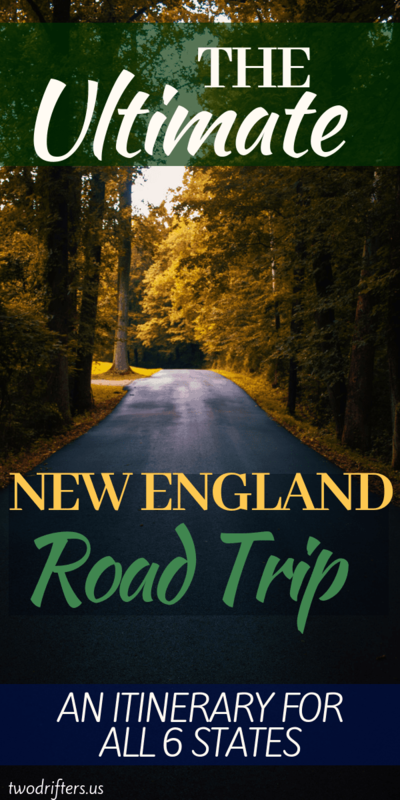 Taking a New England winter road trip? Portsmouth should definitely be on your list, as they do a month of celebrations and events with Vintage Christmas. Your final stop before the trip ends in Boston is the infamous Salem, Massachusetts. And though you’ll definitely want to spend time exploring its history with the Salem Witch Trials, there’s plenty to do in the area that isn’t witchy, too. Pro tip: If possible, you don’t necessarily want to plan your trip to Salem to coincide with Halloween. Although the town has a distinct, fun vibe this time of year, October is its busiest and most crowded month. So while Salem in October is terrific in many ways, it also has its disadvantages. Truthfully, Salem is awesome at any time of the year. Nearby towns ofhttps://twodrifters.us/blog/things-to-do-in-rockport-ma.html Rockport and Gloucester are worth visiting, and very different from one another. You did it! You’ve completed an epic New England road trip! Congratulations! You’ve seen a great deal of one of the prettiest parts of the country, and you did it all by car! In need of some extra New England road trip ideas? If you’re limited on time, check out our Northern and Southern New England road trip itineraries. Your own personal New England road trip trip planner map is below! 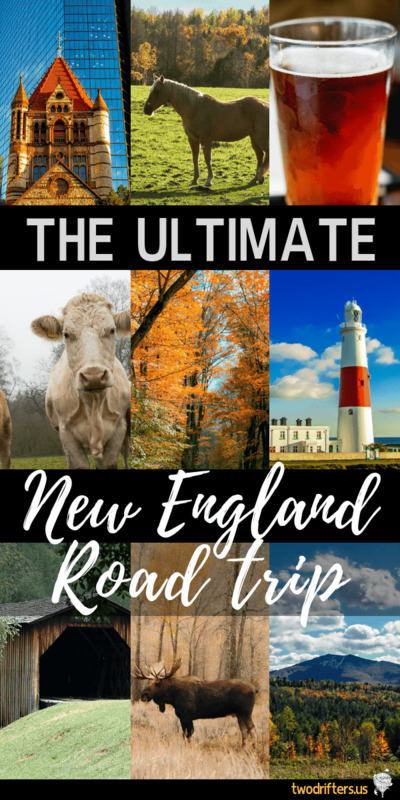 Here’s a great New England road trip route if you just don’t have time to go everywhere, but you want to see the highlights of northern New England. In any trip you’ll have to make some choices about what to see and what to miss, sadly, but with this itinerary, you’ll definitely have a broad experience of Northern New England. The Southern New England road trip route is ideal for those who really seek a coastal trip, or who aren’t quite as interested in exploring the mountains. This trip adds a whole bunch of extra stops so you can really dive into coastal New England. It gives you a feel for the more outdoorsy areas of these southern New England states, too, as the itinerary brings you through the Berkshires, and through charming parts of Connecticut. Definitely an option for a lovely New England summer road trip itinerary.